Summer IS on the way, whether we believe it or not in this bleak display of May. I am refusing to believe anything other than this. Sooner or later... The sun will come. And when it does... I will be ready. Chill Factor have sent us their new Squeeze Cup Slushy Maker to try out, and despite the lack of sunshine I thought it would be perfect to have around for that moment when the sun does break out from behind all of those bleak clouds. I have to admit that I was a little skeptical to how this new cup was going to work when I first read the instructions. But I followed them word for word and put the Squeeze Cup in the freezer overnight, so that it was ready for when I got home from work this evening. I was skeptical because I couldn't fathom how just putting the cup alone in the freezer without the chosen beverage would create a slushy...But it did! The instructions advise to use a beverage that has been refrigerated, you can't really use something at room temperature. So for best results pop what ever you like in fridge around the same time as you put the cup in the freezer. I decided to have a slushy coke. Taking the Squeeze Cup out of the freezer and filling it up to just below the white brim, I started squeezing the cup as instructed. 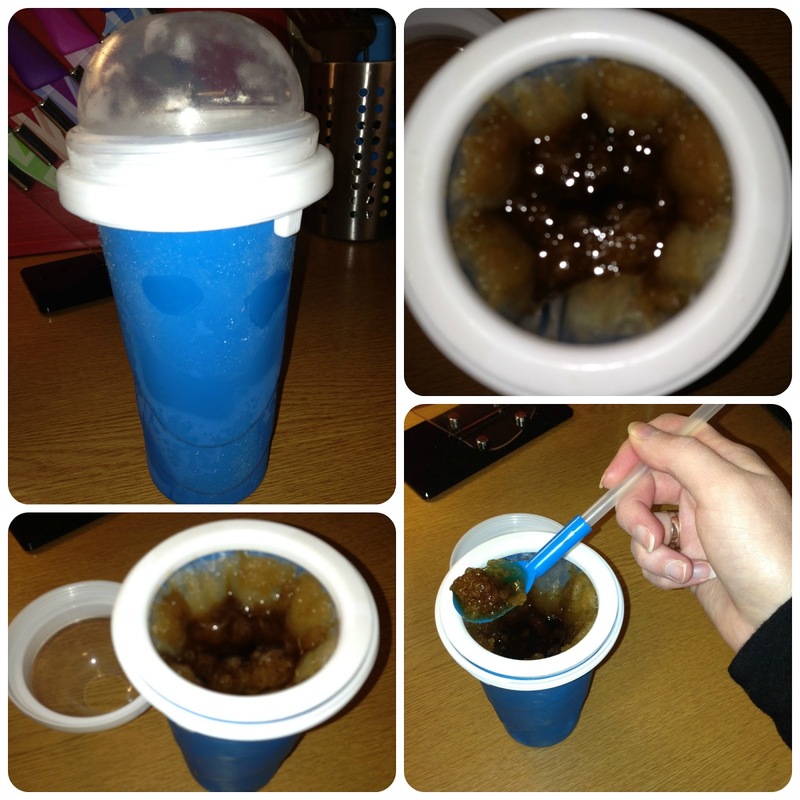 Within seconds the coke was indeed turning to slush! 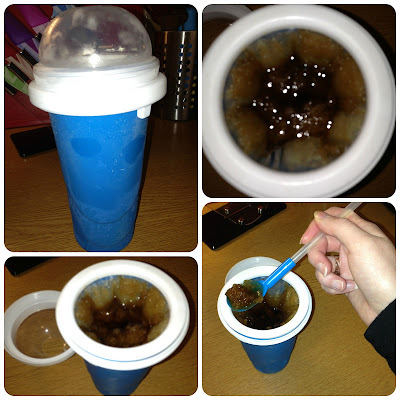 I kept squeezing just to make sure that all the coke had been slushed sufficiently and then it was time to enjoy...without Leo seeing the slushy goody that I now had! It was so easy to use, no mess at all which is actually un-heard of as you will know if you have ever tried making one up! Taking the cup apart to wash it up was a doddle and it is now back in the freezer ready for when I wish to use it again. The Chill Factor Squeeze Cup retails at £12.00, and although I like the product I think that the price may put some people off. It is a great little invention though and if you have kids who live on ice lollies through the summer months (which will be coming) I highly recommend giving this cup a try. Here is a short clip of how we got on with the Squeeze Cup, please forgive the shaky camera! 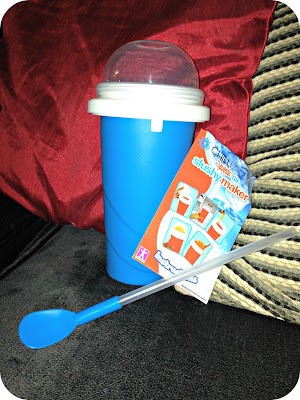 Disclaimer: I was sent the Chill Factor Squeeze Cup for the purpose of this review, however all views and opinions expressed are completely honest and my own.